How are you? I hope you are well and healthy!! How is your exam?? Because I do need to do my supposedly studying. But you know what? I feel like talking to you guys. 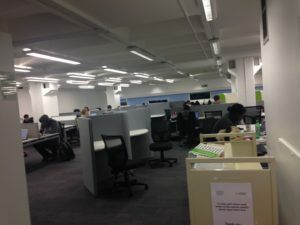 As you can see, each table has something on it and those belongs to people who tend to study like really late at night! We even tend to stay overnight in the library (and yes, I’m in the library now). 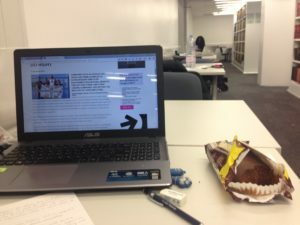 It’s not a must tho but I prefer to study in library than at home… feel more motivated to study here than at home. Here! Let me take you to there! As you can see it’s like indomaret in Indonesia but they also offer vegetables section. Imagine a supermarket like Hero/Carrefour but in the size of Indomaret. I usually went here to buy a couple of drinks (soft drinks) or snacks when I need to be in Library for long periods. You can get a lot of stuff, but if you ask for Halal/ Chinese stuff, they don’t over wide variety. Still, for me who need to grab a snack or two, it’s pretty convenient. It’s essay!! And you need to fill 2 questions in 2 hours! Anyway, thank you for reading My random post!! 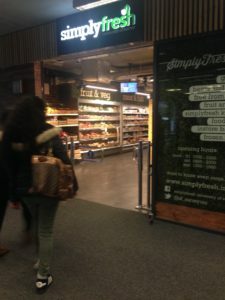 London Big Geek Meet Up! !